It’s known as ‘bracket creep’ in the trade, and it really screws up the system. We’re talking about a point system consumers rely on, and one that retailers exploit to sell their wines. James Halliday towers over the Australian wine landscape like a colossus, and I’d be the last wine lover to deny his enormous achievements and contributions. However, with his exulted position comes additional responsibility: wineries, liquor stores and wine merchants all quote Halliday’s point scores to sell more wine. In the post Another Week, another 96 pt Halliday Bargain from Winestar, we show how this merchant exploits Halliday’s scores to shift lots of wine – and who would blame him? I’ve posted a current example below, and many more in our Review of last year’s Wine Companion. Now to the review. No one would argue that the HWC 2016 isn’t an indispensible resource for serious wine lovers, nor would anyone suggest that the content isn’t comprehensive. As a wine reviewer, I find the brief intro sections on each winery especially helpful for getting vital info at a glance: history, location, production, philosophy, ownership and winemaker(s). The awards given to wineries and winemakers each year are a great way for hard-working wine makers to get some of the recognition they deserve. The same goes for the list of best new wineries, best value wineries and dark horses. The guide only lists one third of the wineries in Australia. For the rest, you have to sign up for the online version of the HWC. For professionals that’s fair enough, but for the average wine punter it becomes $100 a year ask. The Best of the Best by variety section is a good idea badly executed. The bigger sections – Chardonnay, Shiraz, Cabernet etc. – have 2 or 3 dozen 97 point or better wines individually listed, followed by a headache-inducing block half a page long that jams another 50 or more wines together which only scored 95-96 points. Presenting information in this way is just dumb, and the publishers should know that. 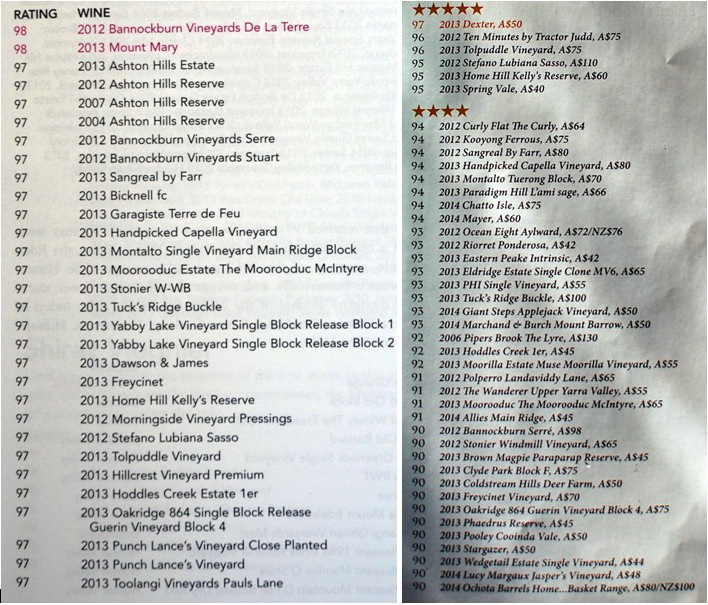 The number of wines in the Best of the Best by variety lists must be pushing 1,000. The rating system James uses describes wines that score 97-99 points as exceptional, and wines that score 95-96 points as outstanding. I don’t think I’m the only one who finds it hard to believe that we make so many outstanding to exceptional wines in this country. It’s even harder to believe that we have some 700 wineries in Australia that deserve a 5-star rating. In other words, every second winery in the HWC gets 5 stars. Worse, almost 1 in 3 wineries in this book get 5 RED stars. It comes back to what many in the industry know and shake their heads about, but few are game to say out loud: James Halliday’s scores for wines are consistently 3 – 5 points higher than those of other reviewers, Huon Hooke and the guys at the Winefront for example. The first section of the book before the alphabetical listing of the wineries is printed on glossy paper. In the last few editions, these pages fell out after a few weeks of use. I see nothing in this edition that will prevent a repeat performance. The HWC 2016 has a truly ugly cover in Bordello Red. The HWC 2016 was offered at deep discounts before it was even released, $10 off at Dymocks and $12 at A&R. That suggests it’s either overpriced or punters don’t see the value in it, or the publisher just wants to sell heaps of copies at any price. As it happens, Gourmet Traveller Wine published a Pinot Noir tasting this week, at about the same time the HWC 2016 came out. The tasting focused on single site Pinot Noirs, the best wines from the best producers in Australia. I’ve posted both results pages side by side below for easier comparison. What stands out here is that the GTW team rates no wines at 98, just 1 at 97 and 3 at 95. By contrast, the HWC team rates 2 wines at 98 points, 30 at 97 and another 50 at 96. The second thing that stands out is that the GTW scores are so much lower, and the third is that the top wine in GTW tasting – Dexter Pinot Noir 2013 – is nowhere to be found in the HWC. Admittedly, the GTW list is much shorter than the HWC list but the trend is pretty clear: HCW scores are consistently higher by several points, and in this case a few points make a big difference. Here’s why: the effective band of points is 86 – 98 according the HCW definition (and most of us would agree). In the HWC, scores of 90 – 93 indicate a rating of highly commended or a silver medal in wine show terms. So a difference of just 3 points – 96 vs 93 – is the difference between an outstanding wine and a decent wine. So if your 95 point Halliday $20 Shiraz is really a 91 or 92 point wine, it’s no longer that much of a bargain, is it? It’s not just consumers that are being misled Kim. Looking around on social media (I follow quite a few on Facebook, twitter, mailing lists, etc.) it appears that there are more than a few wineries using the Halliday scores to spruik themselves and also justify their prices. I’m also getting the impression from some of them that they’re beginning to believe their own publicity. I note one particular winery I engaged with seemed rather prickly when I listed Huon Hooke’s scores as well as Wine Front’s on a highly rated pinot of theirs. Another winery pointed to a link on Halliday’s WC page when I talked about the large numbers of wineries receiving the ratings when they claimed to be in the “top 10% of wineries in Australia.” It appears that WC anticipated in advance criticism to their generous star ratings and wrote something of a defence of their system (http://www.winecompanion.com.au/wineries/understanding-winery-ratings). This page also gives the impression that there are far fewer wineries receiving the ratings than in reality. As the saying goes, there are lies, damned lies and statistics. As you point out, approximately 30% of the book’s entries get this 5 red star rating. 384 out of 1,318 wineries in the book received it (or exactly 29.14%). Okay. No big deal. That’s their system. They’re entitled to award stars, or whatever to whomever in the numbers they deem fit. This does seem a bit much though. In fact, on their website, they state that 282 wineries received this rating – the 10% figure. However, there is in fact a subset of the data that also has ‘red lettering’ as well as the red stars. Supposedly the elite 102 wineries in Australia, the “top 3.6%” they claim. Needless to say, this ‘red star/red lettering, red star/black lettering’ isn’t being translated into the PR/marketing spiels on the various online forums where these statistics are being quoted by the wine companies. If we combine the 2 figures and get the total of red stars irrespective of lettering, it’s 13.6%. Pretty elite figure I guess, so why am I being so pedantic? Because the figures are misleading! 13.6% is the total percentage of wineries with the rating, not just from the book listings (which is almost 30%), but also includes the total from their online database. There’s 2,800 wineries on their online database, but here’s the rub – how many are active? According to the latest figures I could find, there’s only 2,481 wineries that are active in Australia in 2015 (http://winetitles.com.au/statistics/wineries_numbers.asp). So this means there are at least 300 or so wineries that no longer exist that they are using to justify their inflated figures! There may be even more that have since ceased operations. Even amongst the current active wine companies, not all submit their wines to Wine Companion. This for me is the salient point. When a publication, any publication for that matter that generates ratings for consumers to use as a guide deceptively uses statistics to back up their ratings, can you really use any of their ratings as a legitimate source? This is a really good piece. 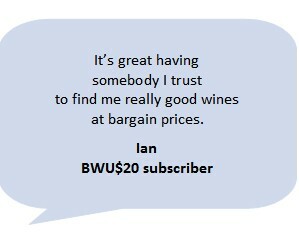 I subscribe to both BWU$20 and Wine Companion. I’m increasingly frustrated by inflated Halliday scores which are, to put it mildly, kinder to the winemaker than the consumer. Here’s a good (I hope, not a typical) example of how the industry uses reviewers’ scores: I was offered a Mystery Shiraz through a large winery’s own online store. No clue as to vintage, area, style – just that it was a Shiraz and was rated at 96 points by a well known reviewer. I took a punt. When the wine arrived, I searched and couldn’t find any online reviews, by anyone. I wrote to the store and asked who had awarded 96 points. They couldn’t tell me, because the person who wrote the ad was on leave! However, I was assured, “James Halliday gave it 94 points”. 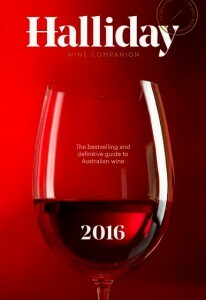 So I looked in Wine Companion – no Halliday review. I wrote again … and have received no answer. I’m sure, when I catch up with them, they’ll apologize for their mistake. This sort of thing isn’t a harmless stuff-up. It’s what competition law calls misleading and deceptive conduct. Always the danger when you go for those “Black Market/Mystery Label” type wines. I recently purchased a Hidden Label Pinot from Tasmania thinking it was one thing, but discovered it was a Pinot I’d already purchased under its original label. Luckily for me in this instance it was a reasonable drop for the money (Eddystone Point). It doesn’t help the matter when there are some retailers that specialise exclusively in vending wine like that with supposed “massive discounts off RRP” and use inflated points from reviewers to mask the fact it’s dull wine that should have been sold at that price in the first place.